A rather nondescript name, but the vase is rather plain. The most interesting part is the metal base which has perforations in various patterns. The typical examples, like that on the right, usually sell in the $10 to $20 range. 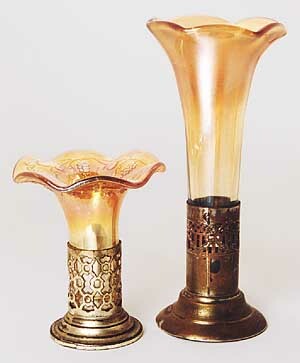 The shorter vase has a vintage-type pattern in the vase itself and would be valued a bit higher.